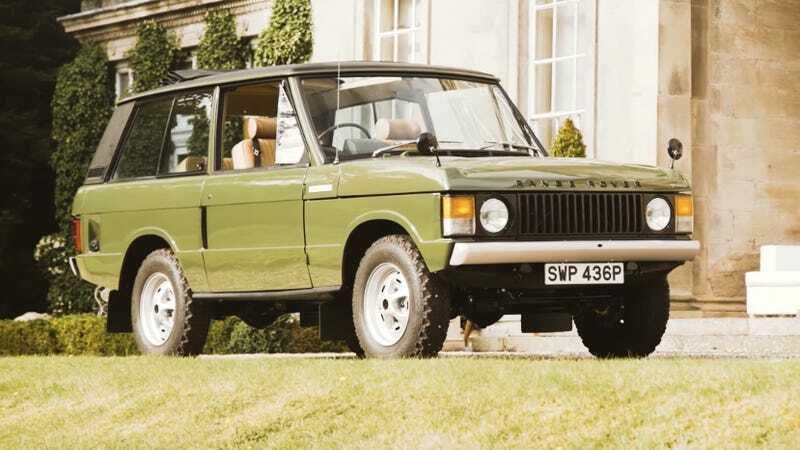 Early Range Rovers have managed to stay stately looking no matter where automotive design trends go. Over in England, you can find really old ones with just two doors that are especially cool. And if you look hard enough, you just might find one with royal blood. This glossy-olive OG Range Rover belongs to a customer of Phil Holland, who restores and revives these vehicles at his shop Twenty-Ten Engineering. When Petrolicious spoke to him, he’d recently wrapped up an “18 month-to-two-year” revitalization job on the 4x4 that was ordered after its owner realized the vehice once belonged to the royal family. I’m convinced everyone in England is obsessed with having some relationship to the royals, can anyone over there corroborate that theory? But after getting in touch with Land Rover’s historic office, it was discovered that, yes, the vehicle was delivered straight from the factory to the Royal Household when it was new. Confirming the Rover’s pedigree put a massive multiplier on its value, so the owner went ahead and authorized the comprehensive restoration you see in this lovely video. God save the Queen, right? And this time, it seems like the Queen saved a Range Rover.